Does MDW Industrial Supply Co accept phone, fax, email or snail mail orders? All ordering, price quotes, stock status and shipping quotes are provided online or by telephone. Please note that all purchases should be made online, for a secure processing. Send an email to MDW Industrial Supply Co customer service. We will void the order for you as long as it has not yet been processed. If duplicate orders have been shipped, please let customer service know and they will advise you with the best next step to take. How can I check my MDW Industrial Supply Co order status online? Go to your account at MDW Industrial Supply Co and log in using the email address and password associated with your MDW Industrial Supply Co. order. Once inside your account page you can click on the order you would like check on and you will be given status on the items on that order. If you would like to request a cancellation of an item after the order has been submitted, send an email to our customer service. Once our warehouses have shipped an order, products cannot be added or cancelled. It usually takes 1 to 2 business days for us to process an order (prior to shipping it). Once the order has shipped, your estimated time of arrival will be determined by your selected shipping method. Estimated shipping dates are based on several factors, including how quickly we can obtain and assemble items for shipment. MDW Industrial Supply Co. tries to accurately estimate ship dates on a product by product basis, occasionally products will be backordered by the manufacturer. If this is the case MDW Industrial Supply Co. can ship the item as soon as we receive our shipment from the manufacturer or cancel the order and issue a full refund depending on customer preference. Not all products listed on our site are immediately available for shipping. We do our best to accurately estimate when items will ship from our facilities. These estimates are based on several factors, including how quickly we can obtain and assemble items for shipment. If a product is out of stock lead times may vary. A MDW Industrial Supply Co. customer service representative should be able to help best estimate the delivery time of a product based on warehouse and manufacturer information, and from there the customer can figure out whether they can wait or would like to cancel the item. What payment methods does MDW Industrial Supply Co. accept? MDW Industrial Supply Co. accepts all major credit cards. Checks will also be accepted upon approval. Orders paid for by check will not be shipped until the check clears. Does MDW Industrial Supply Co. charge sales tax? Only if the products purchased are being shipped to or billed to a Wisconsin address. MDW Industrial Supply Co. main office is located in Wisconsin and therefore these orders are subject to a sales tax. My company is tax exempt, how can I purchase products without tax? If you are a tax-exempt government agency or have a Reseller’s permit, please email the appropriate documentation to our customer service so that a MDW Industrial Supply Co. representative can set up your account accordingly. Why would my credit/debit card be declined when I know for certain that I have the funds available? A credit card can decline due to an incorrectly-entered credit card number, an address mismatch, an incorrect expiration date, a daily limit, insufficient credit or other reasons. Contact your credit card company for more information. Please note that authorizations that have been declined, may take 24-48 hours to drop off of your pending transactions. How can I log in to my MDW Industrial Supply Co. account? You can log in to your account by clicking on the Your Account icon in the top right hand corner of MDW Industrial Supply Co. Once at the on the login screen simply enter the email address and password associated with your account. If you have forgotten your password or do not know your MDW Industrial Supply Co. password click on the Forgot Your Password link. This will take you to the retrieve your password screen, from this screen enter your email address associated with your MDW Industrial Supply Co. account and we will email you your password. Do I have to create an account to order from MDW Industrial Supply Co.? Yes. When you order from us we will collect your name, e-mail address, billing address, shipping address, telephone number, and product selections. We do this to fill your order, and to communicate with you about your order. Before confirming your order, you will have the opportunity to review the product order form and make changes and additions to the information as it pertains to your order and your account. Is the MDW Industrial Supply Co. website secure? What types of security features are utilized to safeguard my information? Yes. In order to most efficiently serve you, credit card transactions and order fulfillment are handled by established third party banking, processing agents and distribution institutions. They receive the information needed to verify and authorize your credit card or other payment information and to process and ship your order. When you access your account information, the information is kept on a secure server. All of the customer data we collect is protected against unauthorized access by physical security means. No credit card information is stored on our server, which is why you must enter it every time you place an order with us. This is done to give you even more security when you shop with us. What can I use my MDW Industrial Supply Co. account for? The MDW Industrial Supply Co. account you just set up allows you to securely store your account information, print order confirmations, track shipments, change your email and password, update your billing and shipping address and view your order history. What information should I provide when I call or email MDW Industrial Supply Co.? When contacting MDW Industrial Supply Co. for information regarding an order please provide your order number, your email address and full name. If you are looking for information regarding a product please provide the manufacturer name and model number and the color, material or finish you are interested in. Does MDW Industrial Supply Co. have a walk-in store or will call facility where I can physically pick-up my merchandise? We do not have a walk-in store or will call facility. All orders do have to be placed online and shipped from our various warehouses. What is MDW Industrial Supply Co.’s shipping rates and policies? Does MDW Industrial Supply Co. offer free shipping? MDW Industrial Supply Co. offers free shipping on 100’s of products. In order to get Free Shipping, be sure that your shopping cart only has products in it that have Free Shipping. If you want to order products that qualify for Free Shipping along with products that do not qualify for Free Shipping, please place two separate orders, one order with the products that qualify for Free Shipping and another order with the products that do not qualify for Free Shipping. Does MDW Industrial Supply Co. ship to P.O. Boxes? Yes, MDW Industrial Supply Co. does ship to P.O. Boxes. When can I expect delivery of my MDW Industrial Supply Co. order? Please reference our estimated shipping times. Are all items shipped via the same method? MDW Industrial Supply Co. ships all normal shipping items via USPS, UPS and FedEx. Freight items are shipped through various freight companies depending on where the order is being shipped. What is the difference between freight shipments and regular shipments? Orders that are shipped via Light Truck Load Freight require a customer telephone number so that the delivery company can schedule a delivery appointment. When freight products are delivered they must be thoroughly inspected prior to taking delivery. You can check your order status online by logging in to your account at MDW Industrial Supply Co. From this screen click on the order number that you would like to track, this will take you to the order screen which references your tracking information. You can track your order online using the UPS, USPS or Fedex tracking number. In your account click on the order that you would like to track the tracking number will automatically link to the shippers website where detailed tracking information is available. If your order is a freight shipment you may have to go to the shippers website and enter the pro number. Does MDW Industrial Supply Co. ship internationally? 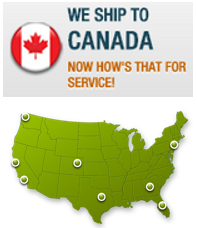 MDW Industrial Supply Co. ships to almost any international destination. We have partnered with International Checkout to provide payment processing and order fulfillment for international customers. International shipping rates, carriers, and methods will be determined by International Checkout. Does MDW Industrial Supply Co. ship to APO or FPO addresses? We do apologize, but MDW Industrial Supply Co. does not ship to APO or FPO addresses. MDW Industrial Supply Co. may decide to package your items separately due to weight or size concerns. The most common reason why multiple boxes are used for a single order is that MDW Industrial Supply Co. has multiple warehouse locations. If items are stocked in different warehouses they cannot be boxed together. You can log in to your account at MDW Industrial Supply Co. and request a RMA (Return Merchandise Authorization). Please specify how the products are damaged so that a MDW Industrial Supply Co. representative can start a damage claim with the shipping company and ship a new product to you. Before returning a product please make sure that your return satisfies the requirements of our Returns Policy. To return a product request an RMA (Return Merchandise Authorization) by logging in to your account at MDW Industrial Supply Co.
What is the return policy for MDW Industrial Supply Co. products? MDW Industrial Supply Co. has an excellent Return Policy! We offer 30 days to return an item that is unused and resalable because we understand that contractors, plumbers and building projects can be delayed and entire designs may change by the time installation comes. For more information please see the MDW Industrial Supply Co. Returns Policy. Is it mandatory to have an RMA number in order to return a product to MDW Industrial Supply Co? Yes. You must obtain an RMA (Return Merchandise Authorization) number within the applicable Return Policy period. MDW Industrial Supply Co. will not accept returns without prior authorization and an RMA number. Once the returned items have been received, inspected, and approved, it takes us approximately three business days to process a credit back to your credit card and 2-3 business days for it to appear on your statement. Approximately how long does it take for MDW Industrial Supply Co. to process an RMA? Please also allow approximately three business days to process your return after it has arrived at our Returns Warehouse. What should I include with my RMA? When preparing your return, be sure you return satisfies the requirements of the Returns Policy. Ship the product in a sealed package with plenty of padding. Place a printout of your order confirmation on the inside of the package. Finally write the approved RMA number on the outside of the package. MDW Industrial Supply Co. applies a minimum of 30% and a maximum of 40% restocking fee to orders unless the products are damaged or defective. MDW Industrial Supply Co. charges a 40% restocking fee on all returned items not damaged or defective. The restocking fee covers any necessary re-boxing and/or re-packaging of the product that will need to be done, and all fees associated with returning the item to stock in one of our warehouses. Does MDW Industrial Supply Co. pay the return shipping cost for defective merchandise? Yes. MDW Industrial Supply Co. will pay the shipping costs to have defective items shipped back to us, assuming the items are determined to be defective according to manufacturer specifications. Does MDW Industrial Supply Co. cross-ship replacement merchandise? No. Cross shipping is not available if you are in need of a new item immediately place a new order and MDW Industrial Supply Co. will refund your original order when the items are returned to us. My return package has been received by MDW Industrial Supply Co, what happens now? Once a representative in our returns department receives and inspects the return a refund will be issued to your credit/debit card. In some cases a technician from MDW Industrial Supply Co. will also have to test the returned item. If you request a refund, your original method of payment will be credited as soon as possible after your return is processed and approved. A refund/credit is applied to the original method of payment. If you need to change the shipping address after you place an order, you’ll need to contact the MDW Industrial Supply Co. directly. At this time, it isn’t possible to edit or delete items from your purchase history. We hope this section of your account will serve as a useful record of all your online purchases. How long does it take for a payment to post to my credit card? It depends. Charges generally post to your credit card within a few days. Look at the receipt in the Purchase History section of your account to see the exact date your credit card was charged for your purchase.